Summer. Hot, sunny days. The perfect time to be outdoors enjoying activities with your horse – whether that’s long rides at home or intensive competition. Of course, you bring your water bottle with you and make sure you don’t get dehydrated. But what about your horse? 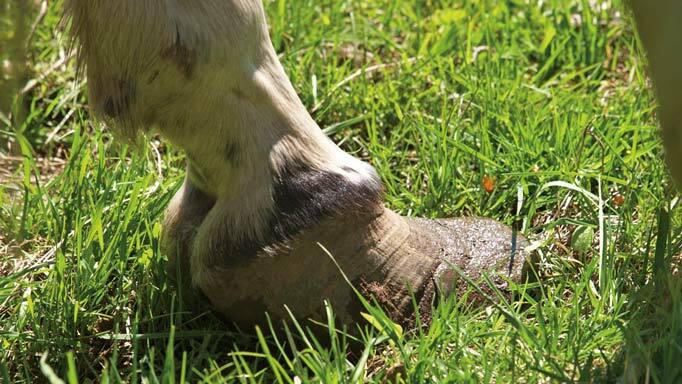 When you’re feeling hot and thirsty, your horse is feeling worse. Horses lose fluids through sweat three times faster than humans (per kg of body weight), and they lose electrolytes 10 times faster. Humans produce rather dilute sweat, explained Dr. Mike Lindinger, an expert in equine exercise physiology and nutrition who previously worked at the University of Guelph. He now has a life science research and consulting company called The Nutraceutical Alliance, which focuses on nutraceutical and nutrition products for horses and dogs, and operates Lindenfarne Horse Park near Campbellville, Ontario. Dr. Lindinger became interested in the effects of heat on horses when he was a lead researcher on the Canadian research team that contributed valuable information on the response of the horse to heat and humidity for the Atlanta Summer Olympics. “Horses, like people, are continuously sweating,” said Dr. Lindinger. “When we do not notice we are sweating, it is because all of the sweat is evaporating. This is good because evaporation causes a cooling effect on the skin and, through the skin, the underlying tissues and body.” But there are two different things that can cause an increase in sweating. The first is an increase in the external temperature, which is sensed by the skin resulting in increased sweat production to cause more of that cooling effect. The second is an increase in the horse’s internal body temperature, caused by muscle contractions when the horse is working. (Dr. Lindinger pointed out that even a horse being transported in a trailer is constantly adjusting his posture as the trailer moves, and this involves frequent muscle contractions.) The horse responds to this temperature change in several ways: the blood vessels in the skin dilate to dissipate the heat, heat is radiated out through the skin directly and the amount of sweating is increased. Put these together and you can see that horses being exercised in hot weather will have the highest rate of sweat production. In these conditions, it can take less than an hour for the horse to become clinically dehydrated. What about humidity? You’ve probably noticed that you feel much worse in hot and humid weather than when it’s hot and dry. Dr. Lindinger explained that when the humidity is high, the sweat doesn’t evaporate quickly. Even though the body is producing lots of sweat, that desired cooling effect isn’t happening. The body responds by sweating even more, causing a greater risk of dehydration. Dr. Lindinger added that horses that have been acclimated to heat have an even higher rate of sweating than horses that are not acclimated to higher temperatures. That means dehydration can happen more quickly when horses are worked in hot conditions. 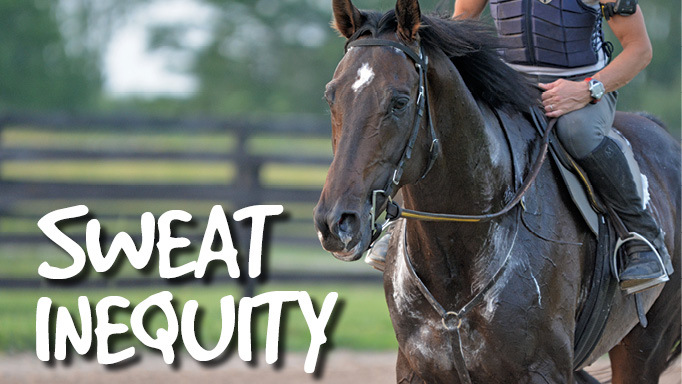 Heat acclimation does have many other benefits for horses that will be competing or training in warm weather, though. Horse sweat is relatively concentrated in terms of the amount of electrolytes being lost. Not only would horses not drink such a concentrated solution, but their bodies would have difficulty absorbing the fluids properly. Researchers find that the concentration that works best is about half the concentration in the horse’s body fluids. Getting the horse to drink the supplemented water is another challenge. “A good flavouring agent is essential,” said Dr. Lindinger. Recent research by Dr. Katrina Merkies at the Ontario Veterinary College found that horses like sweet-tasting water, and even a small amount of sweetener added to the water can mask bitter tastes and make it more appealing to equines. While a little extra water is okay, Dr. Lindinger also cautioned against giving too much. The kidneys, he explained, determine how much water to eliminate based on the concentration of electrolytes in the body fluids. If a dehydrated horse (that has lost electrolytes by sweating) drinks a lot of plain water, or water without enough electrolytes added, the body fluids will be diluted. The kidneys will sense this as a “volume overload” of water, even though the horse is actually still dehydrated. Then they will eliminate the extra fluid (causing the horse to urinate), along with even more electrolytes (it is not possible to create urine without electrolytes). This causes the dehydrated horse to be even more dehydrated. 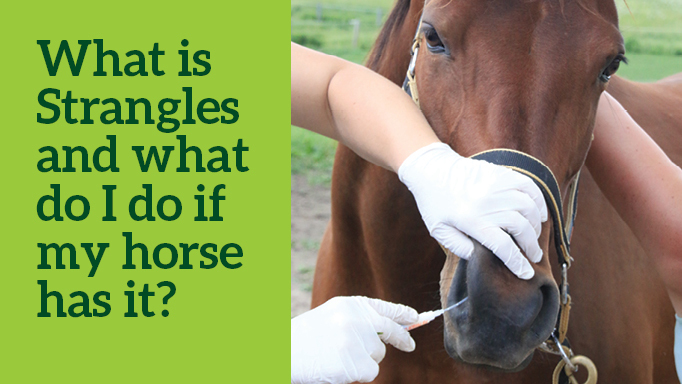 “Horses are continuously sweating,” said Dr. Lindinger. “They need constant access to water and sources of electrolytes.” This is not a big deal for a horse at home on a farm where he can shelter in the shade and get the electrolytes he needs from forage, feed and a salt block. His daily fluid requirement is probably about 40 litres a day in cool weather and up to 60 litres a day when it’s hot and humid. But it’s a different story for horses in competition. The elite performance horse is at risk of dehydration during training, transport, competition and while recovering. Owners need to add an extra 10 litres per hour of water (with electrolytes) during transport and exercise. During competition, elite endurance horses often consume more than 100 litres of water in 12 hours. How do you know if your horse is becoming dehydrated? It’s good to know the signs, but Dr. Lindinger emphasizes that prevention is preferable. “By the time the rider has noticed the signs, the horse is likely already clinically dehydrated,” he said. Dr. Lindinger points out that even a 1% level of dehydration has been shown to cause cognitive impairment in people. Any discipline involving speed and coordination (such as eventing, jumping, barrel racing or cutting) would be seriously negatively affected. Because sweating is the main way a horse gets rid of excessive heat in his body, when the horse becomes so dehydrated that he can’t sweat enough, he is at risk of heat strain. If he continues exercising, so that his muscles are adding more heat, or even if he is resting in hot conditions, his core body temperature will continue to rise. Heat stress is normal and occurs with activity and exposure to heat. Heat strain is what occurs when the stress is excessive and causes injury. Heat stroke is severe heat strain with cardiovascular collapse. “The body has very limited ability to store heat,” said Dr. Lindinger. A horse’s normal body temperature is between 37 and 38 degrees Celsius; the proteins in cells and tissues begin to denature (break down) at 43°C. When muscle temperature is 43°C, the core body temperature is 41°C and the rectal temperature will be between 39°C and 40°C . A horse could have heat strain without being dehydrated, depending on the level of heat and the conditions, but dehydration makes it more difficult for the horse to get rid of the heat in the body (increasing the risk). • Do NOT continue exercising. • Move the horse to a shaded area. • Bathe the horse liberally with cold water – the colder the better (there is research to show that this is the most helpful). • As you pour on the cold water, scrape the horse to remove the water as it warms up and to make sure that the horse’s hair doesn’t insulate the body and prevent the heat from escaping. • If possible, find an area with a cool breeze or fans set up so that cool air is blown over the horse. • Provide the horse with water containing electrolyte solution to drink. This drink should just be cool or even slightly warm. Cold water is likely to be refused by the horse and may actually slow the rate of absorption. A horse that has progressed to heat strain can take months to fully recover, and some will never reach previous levels of performance. Dehydration can also cause hypotension, colic and renal failure; in the worst-case scenario it can be fatal. These dire consequences, though, are largely preventable. With regular monitoring, a properly balanced electrolyte solution in the right amount of water, and a strategy for helping your horse get cooled down, hot weather doesn’t have to be dangerous. What are electrolytes? Time for a little Chemistry 101. Electrolytes are ionized molecules. All that means is that they have electric charges on them, either positive or negative, and they need to be balanced – in other words, you need as many positive charges as negative. In horses, the positive ions are sodium (Na+), potassium (K+), calcium (Ca2+) and magnesium (Mg1+), and these are all balanced in the animal’s system by the negative ion of chloride (Cl-). The educated buyer will have to do some mental math to find a good supplement. So, the amounts of sodium, potassium, calcium and magnesium should roughly equal the amount of chloride in a supplement. Small amounts of dextrose or fructose to enhance intestinal absorption are okay and sucrose is okay for taste, but any other ingredients make the supplement less effective. Essential preparation for competition in hot weather: training your horse to accept and drink electrolyte supplementation. 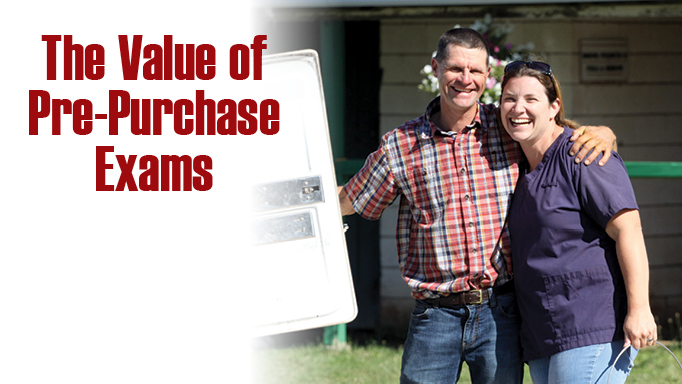 Dr. James Crawford recommends what to check before you buy. Learn how to recognize, treat and prevent this highly contagious respiratory disease. 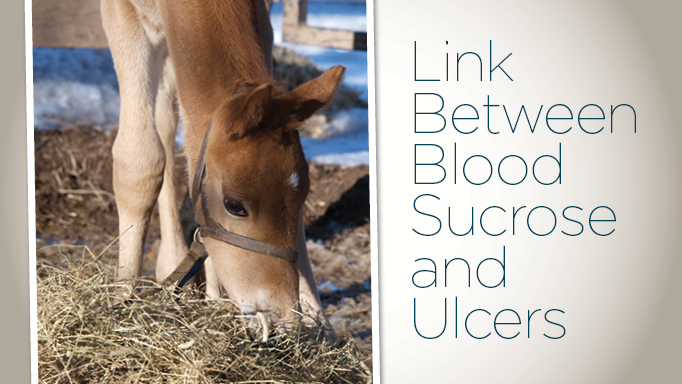 Researchers are looking for a better way to diagnose ulcers in horses.